To get the most out of your practice sessions, there are some things that should be part of your practice routine. While you may already do some of these things, making sure you do all five in each practice session will help you develop your skills faster. This might sound obvious, but as a guitar teacher I regularly see students start playing with an out-of-tune guitar and not seeing the problem. Playing an in-tune guitar is crucial to your ear’s development. Over time, your ears get used to the pitch of the notes you play and learn to accept them as correct. This means if you practice on an out-of-tune guitar (even slightly out-of-tune), your ears will start to think that those out-of-tune notes are actually in tune! Then if anybody tells you you’re out-of-tune, you won’t believe them. You definitely don’t want that to happen. 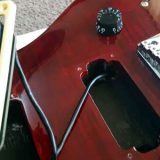 This is such a simple thing to do, but from now on whenever you pick up your guitar, do a quick check to make sure your guitar is in-tune. Have a tuner handy so you don’t have any excuses. 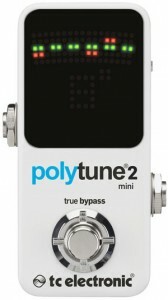 Either use a pedal if you play electric guitar (like the very popular PolyTune as shown to the right), or use a clip on tuner on an acoustic. Many modern amps have inbuilt tuners so there really should be no excuse for not tuning up before you start a practice session. Make it part of your routine and your ears will develop correctly each practice session. Check out the Best Guitar Tuners in this guide here. As soon as you sit down to practice, you might want to dive right into a song or start jamming over a backing track. Those things are fun and warm-up exercises aren’t fun. But warm-up exercises are worth the time and effort. 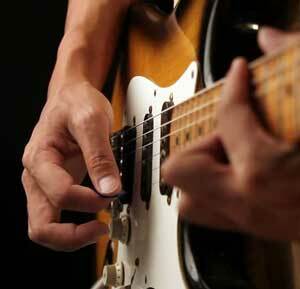 Running through a few finger dexterity exercises before you move on to the ‘real stuff’ helps prepare your fingers. 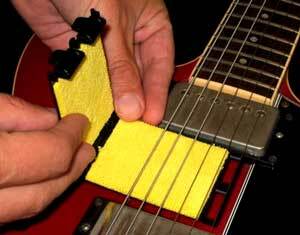 They also help improve your picking and fretting accuracy. This exercise is talked about in so many lessons for a very good reason – it does a great job at warming your fingers up and improving your technique. Run through the above exercise a few times when you sit down to practice and you’ll be far better prepared for any difficult riffs or licks you want to work on. If you’ve never seen the above exercise before, find out more about it and more simple warm-up exercises in this guide. When I ask potential students to describe how they currently practice, they often tell me they “just play”. The idea is that you don’t need a structured practice routine, you don’t need to work on exercises and drills and you don’t need to push yourself. Instead, you just need to play and you’ll get better. It’d be great if that were true, but real develop only happens when you push yourself. Humans are excellent at adapting to their situation. So if you always play simple songs and never push yourself, your skills will always stay at a level where those songs continue to feel comfortable. If you push yourself with challenging licks, chords and exercises, you will gradually adapt until those challenging parts are no longer challenging. If you want to make real progress on guitar, you need to push yourself. Progress happens when you reach past your comfort zone. If it feels hard at first, that’s a good sign it’s worth working on. What feels hard today can only feel easy in the future if you work on it. It would be nice if we could all pick up the guitar as beginners and become a virtuoso, but to become a great guitarist takes effort. In every practice session, try to push past your comfort zone and try something you’ve never attempted before or something you’ve failed at before. The first time I record my students and play their performance back to them, they’re always shocked at what they hear. They suddenly notice mistakes, poor timing and awful tone they didn’t notice while playing. This is similar to hearing your voice on a recording – it doesn’t sound like what you hear when you speak, but it is you. What’s happening here is that while you’re playing, you’re focusing on different things. You might be focusing on technique, timing or remembering what note comes next. Because your attention is usually focused on what you need to play, you’re unable to also focus on how you sound. It’s only when you hear a recording of your playing that your mind is free to truly listen. Recording yourself during a practice session then listening back to the recording is one of the most powerful things you can do to improve. The way I record and listen back to my playing is with a WireTap Riff Recorder by TC Electronic (check out my review here). 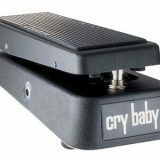 It’s a simple and compact pedal and all I need to do to record myself is hit the footswitch. It will instantly start recording and when I’m done I’ll just hit the footswitch again. Then I can hit the play button to listen back to the recording, I can loop it, delete it or sync it to my phone via Bluetooth to keep. 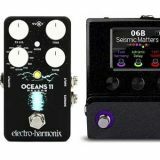 You can achieve the same thing with a looper pedal, so if you don’t want a dedicated pedal for recording yourself, a looper will be perfectly fine for this purpose. 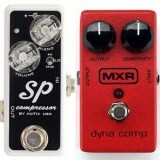 Check out the Best Looper Pedals in this guide to find one that suits your needs. Were there any mistakes or problems in what you played? Was the timing correct or off? How could you improve the phrasing in what you heard? 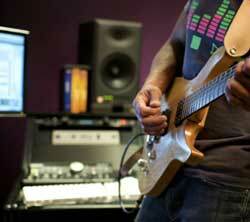 Does the recording sound like you’re playing in a relaxed, tense or rushed state? What did you do really well in the recording? How can you take that across to other areas of your playing? What should you focus on when you play the part again? If I could name one thing that most guitarists don’t do that could have the biggest impact on their progress, it would be this point. So if you don’t have a way to easily record and listen back to yourself, get either a WireTap or Looper and start using it in your practice sessions. This is such a simple thing to do but not everybody does it. Have a cloth handy so when you’ve finished your practice session, use it to wipe down your strings. Not only does this extend the life of your strings, but it keeps your fretboard clean from dirt and grime buildup. If you really want to keep things clean you can use something like the Fingerease Guitar String Lubricant. It does a good job at removing the oils from your fingers on the strings. The String Cleaner as shown to the right is also a handy option rather than using a cloth. They do the same thing so use whatever you prefer. When you wipe your strings down, make sure you slide the cloth underneath the strings to remove any buildup in-between the strings and frets. If you’ve never done this before, you might be shocked by how much gunk comes off the strings. Simply wiping down your strings can make a big difference in how long they last. If you find that your strings wear out really quickly, you might want to consider getting a different type that lasts longer. Find out everything you would want to know about guitar strings such as metals used, gauges, coatings, windings, and more in this guide: Ultimate Guide to Guitar Strings. Of course there are plenty of other things you could do in your practice sessions, but the above five points are areas I feel a lot of guitarists are neglecting. Add these five things into your practice routine and you’ll gradually notice a change in how much you get out of each practice session. Also read through this guide on Setting Up An Ideal Practice Space for more tips and advice to get the most out of your practice sessions.